Love field hockey? Get personalized training from the best field hockey coaches in the country at one of our Revolution Field Hockey Camps! You’ll have loads of fun, build lifelong friendships, and dramatically improve your field hockey game during our four-day field hockey camp. Since 2002, we have been coaching field hockey athletes across the country, helping them excel at the sport they love. To date, Revolution Field Hockey Camps have seen over 40,000 field hockey campers come and go, and it gives us great pride to watch the vast improvement that can be made in such a short period of time. Why Revolution Field Hockey Camps? While most field hockey sports camps offer field hockey drills and opportunities for camaraderie, none of them have the staff power that we do. At Revolution Field Hockey Camps, our directors include NCAA field hockey champions, coaches from championship high schools, and even Olympians. When you attend our field hockey camps, you can rest easy knowing that you’re receiving the highest quality training from only the very best field hockey players in the country. Our field hockey facilities are also the nicest in town, offering the newest turf fields and finest equipment, whether you are attending a field hockey camp in California or Maine (or anywhere in between). We are also partnered with the most well-known and important names in field hockey, including the United States Field Hockey Association (USFHA), the National Field Hockey Coaches Association (NFHCA), Harrow Field Hockey, Cranbarry Field Hockey and SISU Mouth Guards. 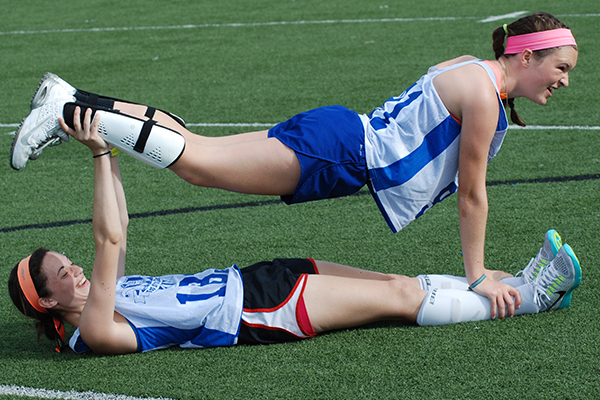 What Can I Expect at your Field Hockey Sports Camps? 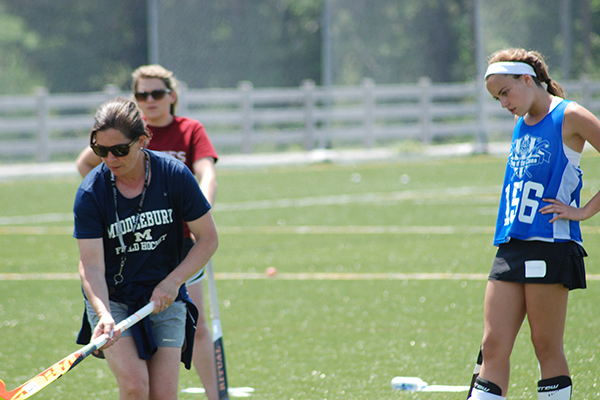 When you attend our field hockey camps, you’ll learn how to play field hockey through a variety of formats. From speed and agility training to both team and individual field hockey drills, you’re sure to improve every aspect of your field hockey game. Additionally, our overnight field hockey camps include evening team-bonding activities, all-you-can-eat buffet meals, and comfortable dorm room lodging. Every camper also receives a reversible jersey, lanyard, ball, and water bottle. You may also be chosen for one of our camp awards or daily prizes! What Will I Learn at Revolution Field Hockey Camps? Our Field Hockey Camps are designed to provide young athletes with the opportunity to become better field hockey players by providing instruction from America’s elite field hockey coaches in a positive and fun atmosphere.